This could be your view if you stay at Majestic View Bed and Breakfast. We had a couple days of clouds and wind, but last night, right before dark, things began to improve. This shot was taken with my cell phone off the third story balcony (Rose Room) at about 10pm. 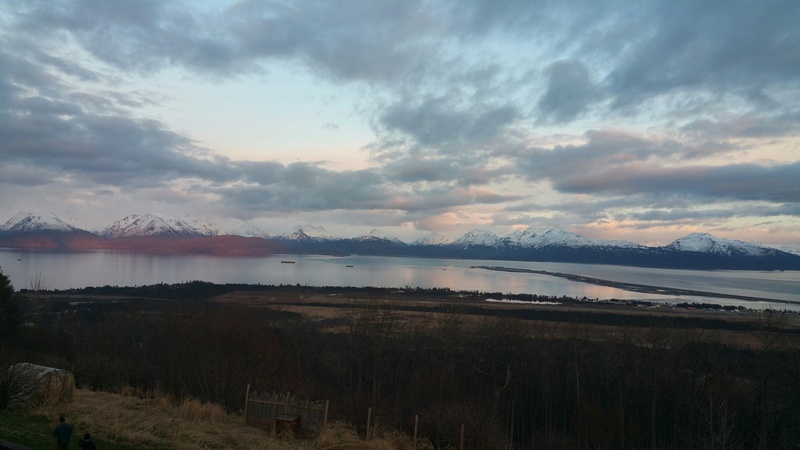 The last rays of sunshine are hitting the Kenai Mountains on the left side of the photo – hence the “pink/red hues.” Remember, off season rates are still in effect for at least a couple of weeks. That means you save at least 25% on room rates, which adds up to a big savings. 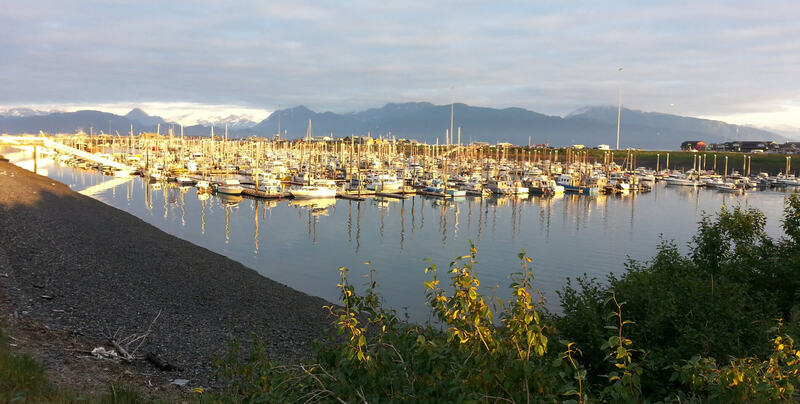 This is ideal for people from Anchorage or Kenai/Soldotna who want to get away for a day or two, or, the tourists who have come early to avoid the traffic. Either way, we are the place to stay! Please like, share, comment, and enjoy!